This silver colored round charm says "America the beautiful" on one side. The solid metal charm comes with a secure lobster style clasp to attach to your bowling shoes. 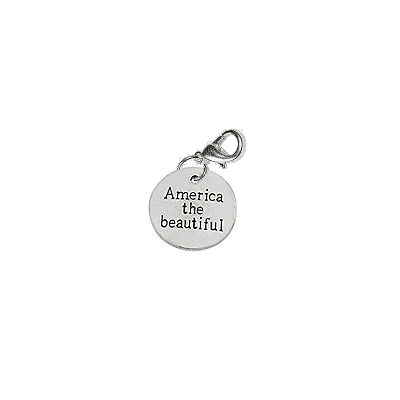 The "America the beautiful" round charm is 0.79" in diameter.